Around town or the campground, the Expedition is comfortable, plush, and perfect for cruising paved and dirt roads. 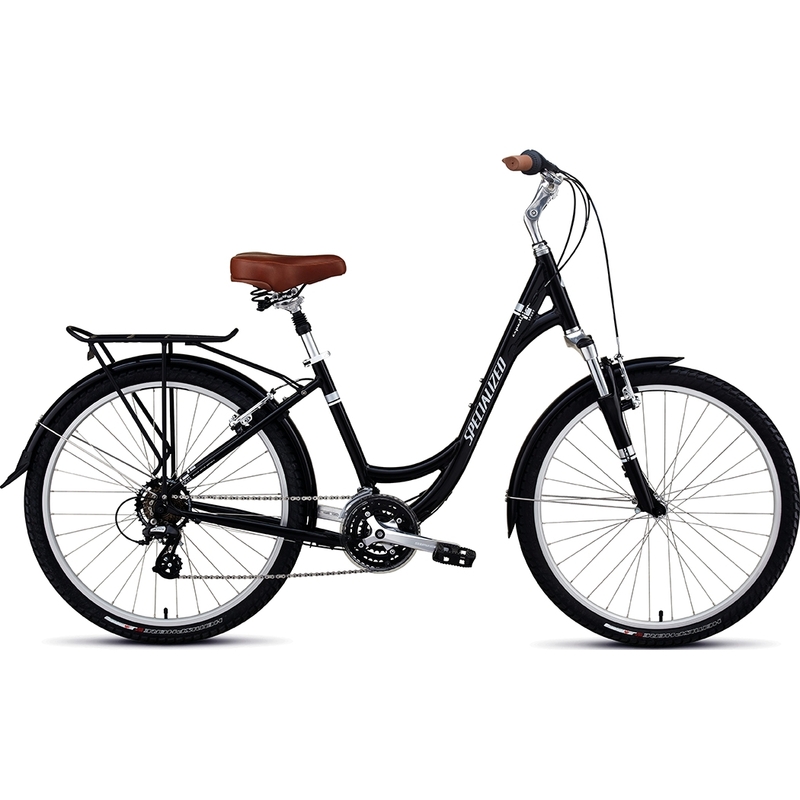 Racks, fenders and 21 speeds makes this a capable bike in all weather and on varied road conditions. The low-entry frame is convenient and improves confidence. >A1 Premium Aluminum frame with Ground Control Geometry for stability and safety, the lowest standover in the Specialized line, plus 63mm-travel fork with alloy lowers for lightweight confidence on any surface; forged dropouts and integrated kickstand mount.